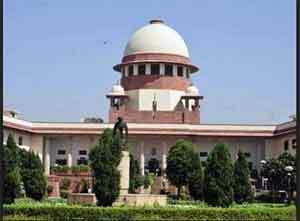 New Delhi: A doctor-turned-law student who has sought audio-video recording of court proceedings of ‘cases of public importance’ and ‘legally educative cases’ was grilled by the Supreme Court over his knowledge of medicine. The apex court which appreciated the drafting of a petition by the doctor-turned-law student said several pleas were being filed regarding audio-video recording of the cases and it would entertain the matters. A bench of Chief Justice Dipak Misra and Justices A M Khanwilkar and D Y Chandrachud refused to entertain the petition filed by Dr Subhash Vijayran, who is now a second year law student at the Campus Law Centre in Delhi University, and asked him to withdraw the plea. Chief Justice Dipak Misra, when he learnt that Vijayran who was appearing in-person was a doctor, asked him questions about medicine. “What is the effect of Paracetamol tablet on the body? How does it react,” the CJI asked the petitioner. Replying to the question, Vijayran said it lowered the temperature of the body by reacting to the liver and mitochondria. This prompted the CJI to ask further questions including how does the body react to kidney transplant and what are the effects of antibiotics on the body. Justice Misra said research has been conducted about neural reaction on the human body which undergoes kidney transplant and asked Vijayran to go through these research papers. In his plea, Vijayran has sought directions from the apex court to make available to law students the audio-video recordings and complete case files claiming it would be a big step in providing them with holistic and practical knowledge of law and bridging the gap between theory and practice. “It is aptly said that law colleges in India produce law graduates and not lawyers. It takes years for a law graduate to become a lawyer. To become a good lawyer, apart from hard work, it is equally important to work under the guidance of an able and learned senior. This is a real challenge for me,” Vijayran said in his plea. He also urged the court to take the aid of modern technology to perpetually preserve its proceedings and make them ‘open courts’ in word and spirit as has been the practice in western countries like USA and United Kingdom. “Drafting skills are very important for any lawyer. If the entire case file is available on the website, I shall, apart from reading the case documents and gaining knowledge therefrom, also develop good drafting skills. By granting my prayer of having entire case file in PDF format available online, this Court will help in sculpturing an excellent draftsman out of me. Therefore, my prayers should be granted,” he said. He also said that because of lack of space and other practical difficulties, hardly a hundred people at the most can be physically present in any court room at a given time. Hope the Doctor\’s plea succeeds. It will be a great leap forward for Indian jurisprudence. I am sure the doctor who is trained to be observant, meticulous, compassionate, and knowledgeable can enrich himself in the profession of law where one is trained to be comprehensive, elaborate, incisive, and articulate, and in turn enrich his chosen profession in return. It is already visible in his plea. All the very best to him. I totally agree with Dr vijrayan.When hospital record can be made public why not Court proceedings and judgement.